Do you feel supported in your life and your work? 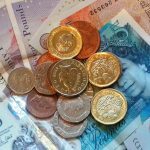 Is money difficult to deal with? Can you allow money in? Is there an unseen dynamic blocking you? Every movement that we make in life can be traced back to the earliest movements of reaching out to our mother and father. How we were received by our parents leaves a profound imprint and we can find ourselves decades later running destructive patterns over and again: an endless loop of repetition, reminding us of our early wounding. If affection was withheld, can we allow love and support in? Can we enjoy receiving money and can we allow it to accumulate? If the response from our parents was unpredictable, can we find trust? Or, do we sabotage our own needs, acquiring money easily, but then squandering it? And if we grew up with very strict boundaries and many rules, do we find ourselves holding onto money too tightly, unable to let it flow in and out? Those of us who have ongoing issues in our relationship with money may find that by focusing on the connection to the male line – our father and his father before him, we may be able to increase the level of support we experience and have more success in bringing our work to the world. However we came into the world, whatever the wounding we received: at every moment we have the possibility to change our relationship to the past and, in doing so, to transform our future. 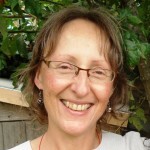 Julie Ulbricht is an Ayurvedic Practitioner working in London & Sussex. She became interested in trauma and family systems as part of the underlying causes of ill health and began to explore methods such as Feeding Your Demons to begin to look at and address the root causes of ill-health. Julie trained as a Family Constellations Facilitator with Barbara Morgan. She has also studied with Stephan Hausner and Ty Francis. She now runs Family Constellations workshops in Sussex together with Paul Collins. Hi Julie, I danced at Sarah’s yesterday and came here looking for more information. There seems to be an assumption in your longer blurb here that we have not moved on from our earliest wounding and the bolded “If affection was ……to let it flow in and out?” suggests that one can easily predict from early attachment to present day. Given that recent research has shown that significant proportions of people do shift their attachment pattern , I am wondering if this workshop is going to allow for complexity (eg different attachment patters with different parents, changes over time) or is it going to be fairly surface and make reductionist assumptions? Also who is Paul Collin? – can’t see anything about him here. Thank you for raising this Katrina. Constellations work is phenomenological: What this means in practice is that what is revealed in the Constellation is what we are ready to see and work on. As we work through our attachment issues that will be reflected in what shows up in the Constellation. The expression that comes to mind is “Trust the field”. Paul Collins has been practising Family Constellations since 2010. he has a background in trauma work also which is very valuable. For more info: https://www.beyondgroup.co.uk/about.